June Bennett thinks she knows exactly what she’s doing: to marry one of the richest men in Britain, Sir Alan Pennington. Despite being twice her age, she knows she is in love. When a volcanic cloud stops Sir Alan from getting to the country estate in Yorkshire where the wedding is due to take place, she gradually realizes that fate and an English aristocrat Geoffrey Howden are trying to tell her something that she does not get. 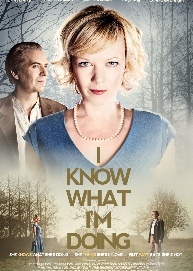 Set in beautiful rural Northern England, I Know What I’m Doing is a tale of romance and quaintness in a modern world rushing on.